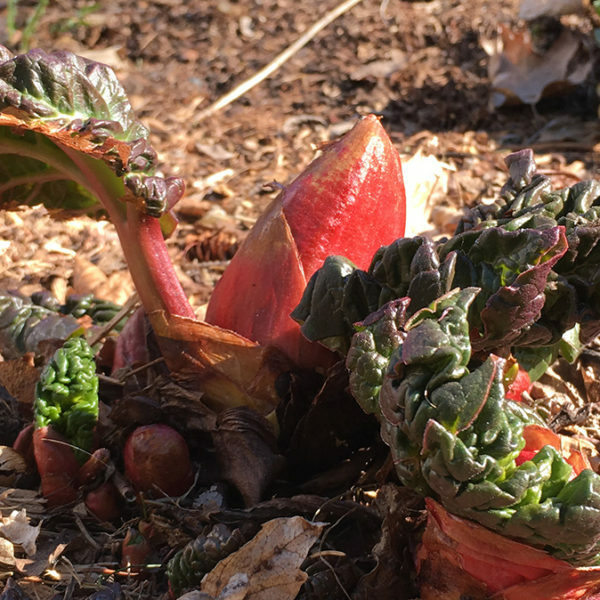 The start of the gardening year is signaled, in my garden at least, by the blooming of the first bulb. 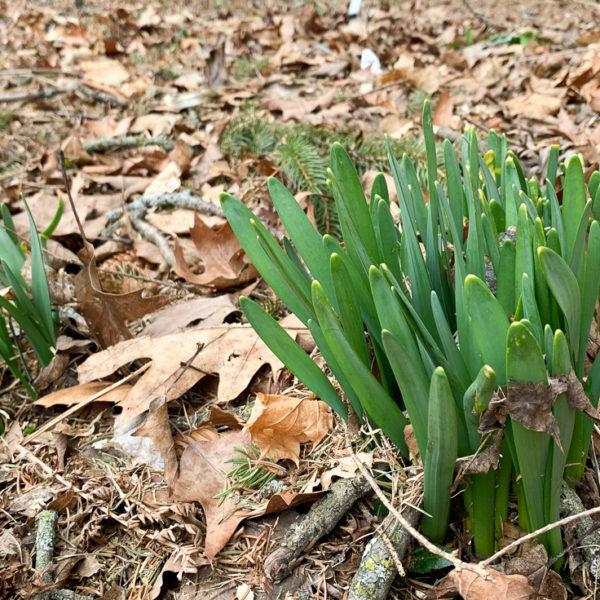 Last year it was a race between one insanely long-lived and abused daffodil and the winter aconites. Even though I cannot bear to think of the months that precede that moment right now, I know the joy that comes with that first sighting. 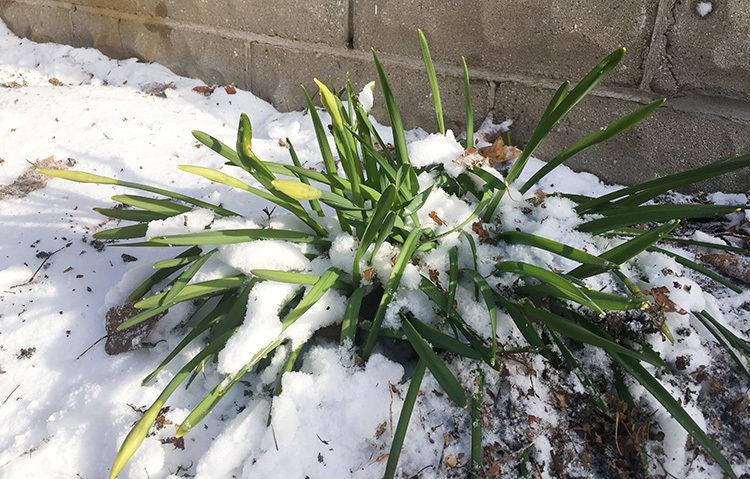 This daffodil gets no love yet it is one of the first things in the garden to bloom every year, even in the snow. It’s quick, and it’s even a sort of fun. You need to get your spring-blooming bulb plan together. And it’s even more important this year than others. That’s because spring-blooming bulbs like tulips and daffodils could be in shorter supply than usual this year. Because of it was an unusually hot summer in Holland. 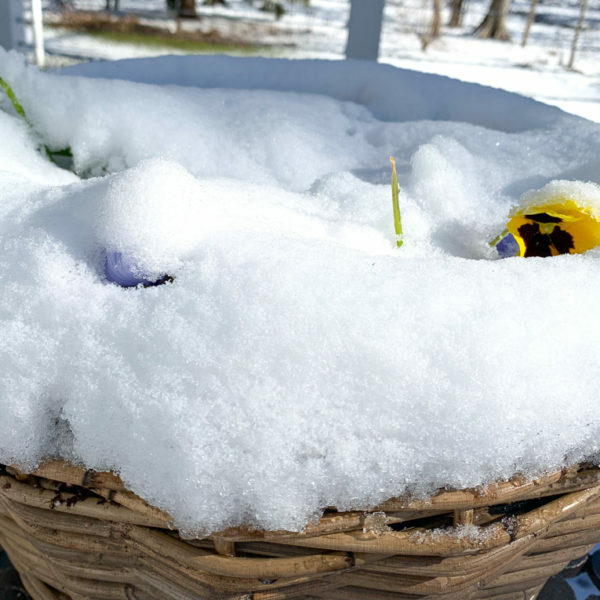 “Due to the hot, dry weather, tulips, alliums and some of the other spring-blooming bulbs did not bulk up and put on as much size/weight as they normally do. So the bulbs may appear slightly smaller than normal. We do not expect performance to be affected. They’re just not as hydrated as usual. This echoes what I was told by other bulb suppliers at the Independent Garden Center Show in August. And I’m not taking any chances. So this week I pulled together a bulb order. I won’t worry about planting them for at least a month, but it feels good to know I don’t have to worry about finding them either in a story or somewhere online. My go-to spring-blooming bulbs are daffodils. I live in deer country (and the deer are very hungry in spring), and they, along with rabbits and other bad actors, don’t bother daffodils, so I can plant them anywhere without fear that they’ll be demolished. 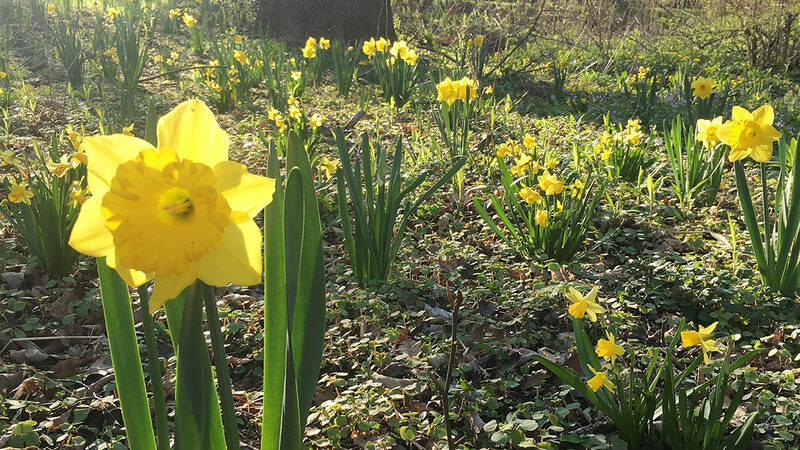 We’ve planted about 1,000 or more daffodils over the past two years in the wooded areas of the yard, hoping they naturalize and bring the woods to life in spring. (Here’s how we planted all those bulbs.) I backed off a little on the daffodils this year because last year I ran into a lot of bulbs while planting more bulbs, so I’m going to see what comes up next spring and make some notes on bare areas. I did, however order a mixed trumpet daffodil collection, a naturalizing mix of varieties that should multiply quickly and, just for fun, a multiflowering mix. I discovered split-cup corona daffodils a few years ago and I still love them. In addition to the usual trumpet varieties, it’s nice to change it up. My other go-to bulb is alliums, which bring the excitement after most daffodils have done their thing. Last year I grew Nigrum for the first time and liked it enough to get more. 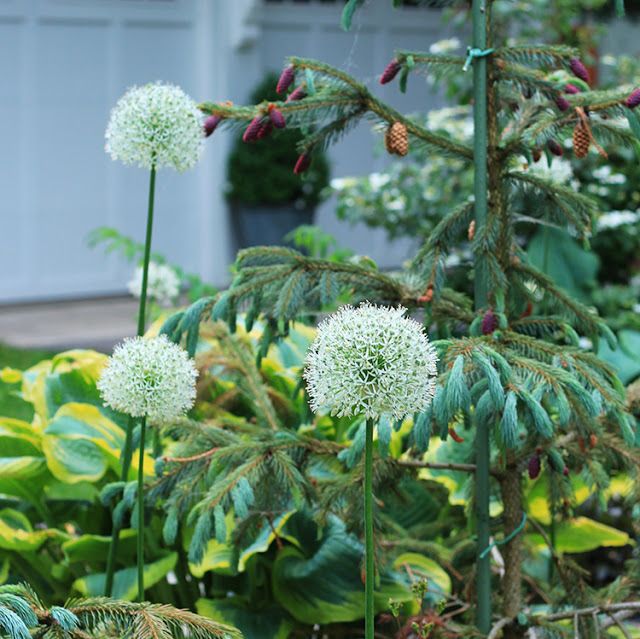 It’s more of a dome-shaped flower versus the typical ball-shaped allium and a nice, bright white. ‘Mount Everest’ is a lovely white ball-type allium. ‘Nigrum’ is more dome shaped but just as statuesque. I’m also revisiting a favorite allium: Schubertii. The first time I saw this allium in a garden, I couldn’t believe it was an allium, because it is so unusual looking. It looks like a firework come to life and looks great in the garden long after the flowers have dried. I have not found it to be a reliable rebloomer here in zone 5, so I’m thinking of this as an annual that probably won’t come back the following year. And lastly, I’m excited to be adding Gladiator alliums to the new garden at the end of the driveway. This is sort of a stereotypical round, ball, purple allium that is slightly smaller than the famous Globemster, but I like that it blooms a little earlier and costs a little. More and more I’m favoring an earlier bloom time for bulbs. I stuck to a very strict plant palette in this garden and the same goes for bulbs. I think a few purple balls rising out of the grasses there will be a good look without sacrificing the simplicity of that garden. And last but not at all least, I ordered a bunch of tulips. I gave up on tulips more than a decade ago after the repeated heartbreak of finding buds clear cut in one night, but now I have a safe place to grow them: the raised bed garden! I can’t wait to have the bright colors of tulips back again. This is the last tulip I grew, planted many years ago and it came back for several years until finally succumbing to incessant pestering by animals. It was fun to do a little plant shopping, but I’m happy as well to have that off my list so I can go back to enjoying a garden that still looks quite happy in the lingering summer weather. Longfield Gardens is sending me some bulbs to grow this fall so I can show you what they look like next spring. 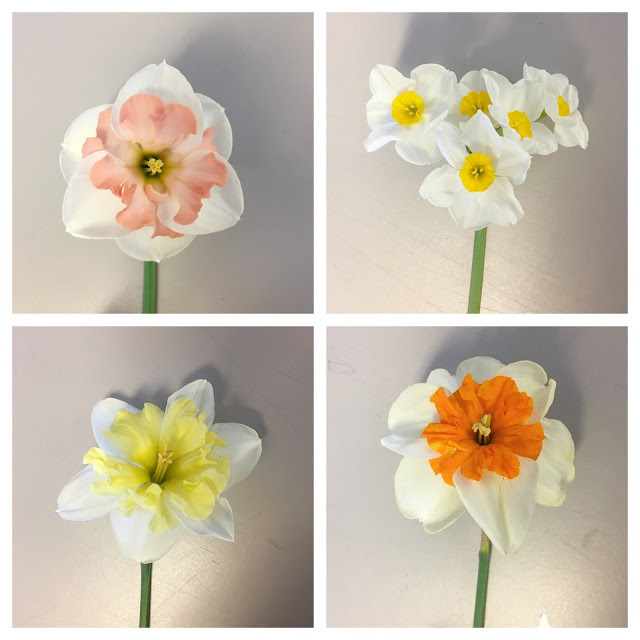 I wanted to take the opportunity to show you what I’m planning in case it helps inspire you to plant some spring-blooming bulbs. I cannot wait until my bulbs from Old House Gardens come in. I ordered ‘Blue Pearl’ Crocus, and a bunch of daffodils. I think I ordered Turkish Glory-of-the-Snow and Snake’s-Head Fritillary as well, but I cannot remember. Oh those sound amazing. I’ve not ordered from Old House Gardens before but I’ve only heard fabulous things about them and their selection. I ordered bulbs in March and just a few weeks ago again. Getting three kinds (or is it 4) snowdrops including ‘Magnet’ which is a favorite and not easy to find. No daffs this year but I did order Tulips and have been trying to think about how I will protect them or if I can. I am putting some in between Astilbe plants and hope that will fool the bunnies. But I bought some that I would like to naturalize and they can’t really be fenced in. It will be so nice for you to have Tulips and not have to worry about them but just be able to enjoy them. Also I was impressed by all your hose setups. I thought it was a big deal that we got a faucet hookup in the far back of the garden. I still have to use hoses/sprinklers as none of it is drip irrigation like yours. My garden has too many paths and things breaking up an area to be able to effectively use that system. You have the most amazing snowdrop collection. Every spring I tell myself I’m going to get more snowdrops. They really are the most cheery little things. Good luck with fooling the bunnies! 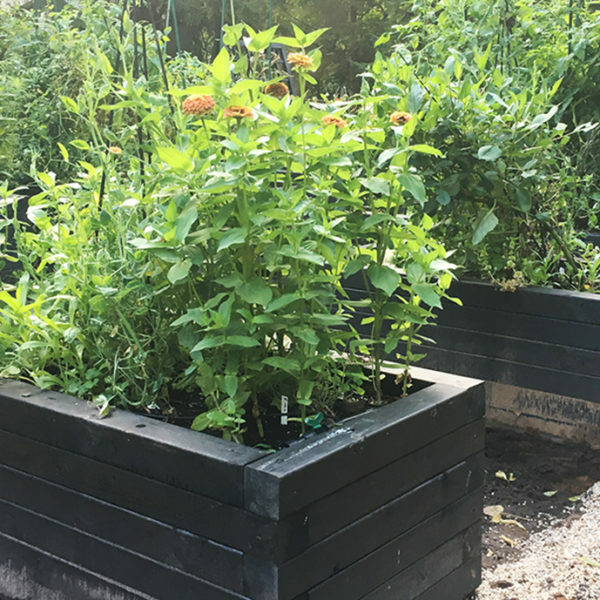 Can’t wait to see how your garden will look like next spring. Thanks for sharing! Thanks, Maggie! I can’t wait either! I love that amazingly beautiful tulip you pictured! Can you share its name please? 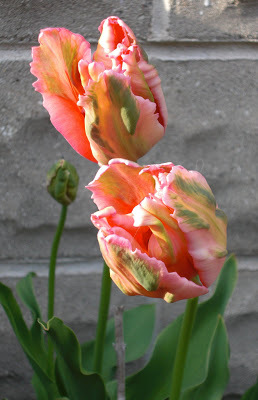 Also have you ever fall planted tulip bulbs in your out door urns or pots with a successful spring bloom? Hi Jamie! Unfortunately I don’t know the name because I planted it so long ago (and I may well have not known the name back then) but it’s a pink parrot variety so look for a parrot type the you love. They really are so exotic!